A wood stain can enhance the natural beauty of any wood species, from hardwoods to soft and porous woods like cedar or redwood. There is a perfect stain for every project, but using the wrong wood stain will have upsetting results that isn’t easy to fix later. There are many brands and types of stains on the market today. So it should be easy to find that perfect product, but this isn’t always the case. With so many ways to color wood, you will want to consider a few things before making that final purchase. Consider the results you are after. Do you want to enhance a certain characteristic and not obscure the rest or go for a more traditional look? How much time do you have or do you need something that is easy to use? These are just a couple of things to consider. Every product that colors wood can be broken down into a few categories. Pigmented Stains – These have pigments mixed with some type of binder. Pigmented stains offer dramatic color but can obscure the woods more delicate features. Dye Stains – As the name implies, dye is used instead of pigments. This type doesn’t hide the grain as much as pigmented stains so they are best used for bright, transparent effects. Oil based or Water Based– Usually an oil base stain will be easier to use, with longer drying times providing more control of the color. Water based stains allow quick finishing and no odor. Interior Use or Exterior Use– The most dramatic differences between interior or exterior use is that interior stains need a protective top coat to protect then from the weather. Exterior stains don’t require an additional clear finish, the protection is built in. Be aware that each type has its own steps and procedures to follow. Read the manufactures label carefully! 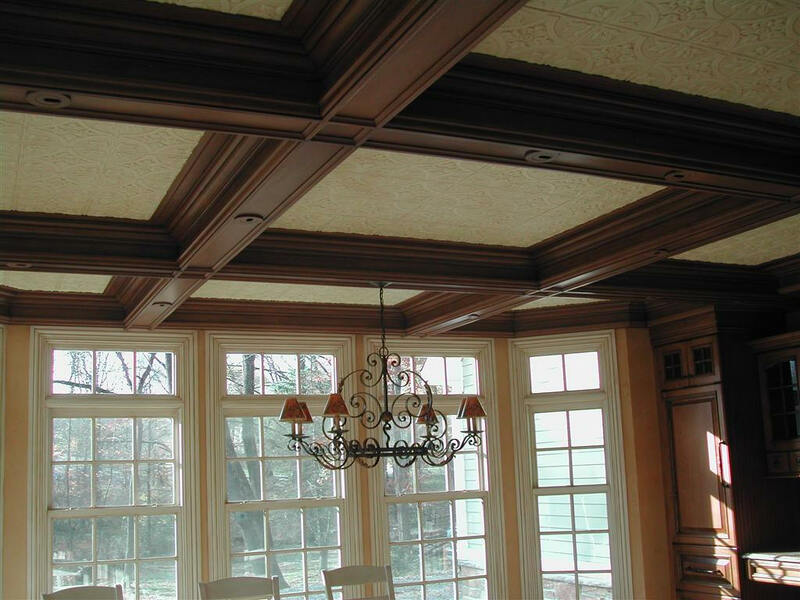 Interior wood stain provides luxuriant color while allowing the grain and natural brilliance to show through. Interior stains include traditional wiping stain and gel stain plus dye stains. Gel and wiping stains can require multiple steps during application and the use of a sealer to protect your newly stained wood from damage due to water and sunlight. 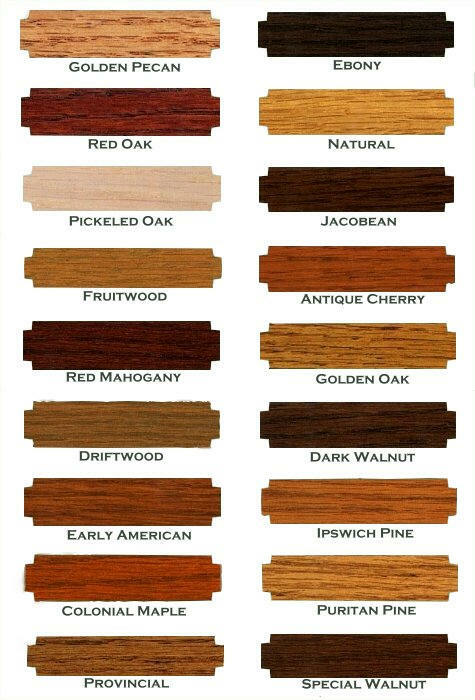 All interior wood finishes will require additional maintenance over the long haul to maintain the rich full colors. 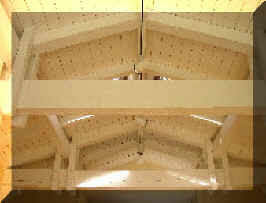 Another option is the use of a pigmented finish, usually polyurethane, or a Danish Oil finish. These stains/finishes are applied until the desired color is achieved with light sanding between each coat. Pigmented polyurethane is the quick and easy option, but will not produce the same dramatic colors as the other stains. The Danish Oil Finish is a bit different. 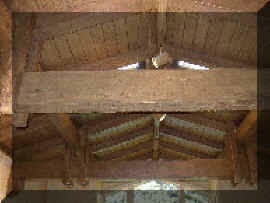 Over raw wood, it can have the same color effects as the traditional stains. Exterior wood stains are a completely different set of products compared to interior applications. They range from natural-translucent stains, semi-transparent to solid color stain. The semi-transparent and solid color stains have the most U.V. protection. Also these do not need a clear finish or varnish applied to insure color retention. The more color an exterior wood stain has the greater the U.V. protection. 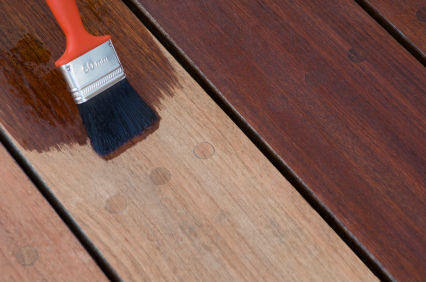 This translates into the more color a stain has the longer the stain will maintain its color and protective capacities. All of these finishes have waterproofing capabilities providing protection from the damaging affects of rain or snow. They can be applied to siding, shingles, shakes, trim, shutters and wood shingled roofs. Any unpainted vertical wood surface can receive an exterior stain as the finish. Oil based or Water Based- Usually an oil base stain will be easier to use, with longer drying times providing more control of the color. Water based stains allow quick finishing and no odor. Interior Use or Exterior Use- The most dramatic differences between interior or exterior use is that interior stains need a protective top coat to protect then from the weather. Exterior stains don’t require an additional clear finish, the protection is built in.